Does he fiddle while Rome burns? No, although he loves performing music. What about the extravagances, dissipation, and political murders? Let’s just say there are extenuating circumstances. Once again demonstrating mastery of the epic fictional autobiography, George chronicles the rise of Lucius Domitius Ahenobarbus, Emperor Caligula’s nephew, from sensitive boy to imperial heir to, finally, near-omnipotent ruler as Emperor Nero. It’s a coming-of-age story like no other, and George’s Nero details the rapid shifts in circumstance that transform his character – not without many twinges of guilt along the way, He fears becoming like his mother, the ambitious, amoral Agrippina, but must play her game to survive. 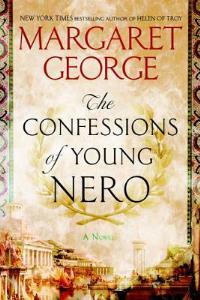 An athlete and admirer of Greek culture, Nero is a consummate showman, and his entertaining narrative exemplifies this. With conviction and flair, George looks past two millennia of bad press about Nero to reveal an intelligent man of justice and religious tolerance who takes refuge in artistic expression. This is the first of two novels charting his dangerous, outrageous life in first-century Rome; the second is eagerly awaited. I read The Confessions of Young Nero last October, and the review above was submitted to Booklist for publication in February 1st issue. The novel, Margaret George's seventh historical epic, will be published by Berkley in hardcover ($28, 528pp) and ebook ($12.99) on March 7th. The UK publisher, Macmillan, will publish on March 9th. 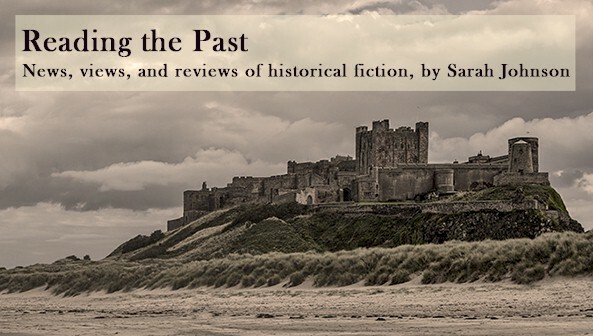 Her six previous historical novels are as follows. Which is/are your favorite(s)? For more information, see the author's website. I'll look forward to reading your full review! I really didn't know much about Nero beforehand, other than his popular reputation. Her Henry VIII novel is probably my favorite of them all. Helen of Troy was also very good. Great review, Sarah! I enjoyed it, too. I've liked all of her books, but my favorites are Autobiography of Henry VIII, Helen of Troy, and Elizabeth I. Ms George really does her research and she knows how to tell a good story as well. Thanks, and I agree about her research and storytelling! Elizabeth I is the only book of hers I haven't gotten a chance to read yet. Although I've had a copy for ages, I'm just seriously behind in my reading.